Longtime racer Giddings always runs interesting cars, usually of the pre-war sort. He finished 18th in Race Group Two, in this 2559cc. Alfa Romeo. 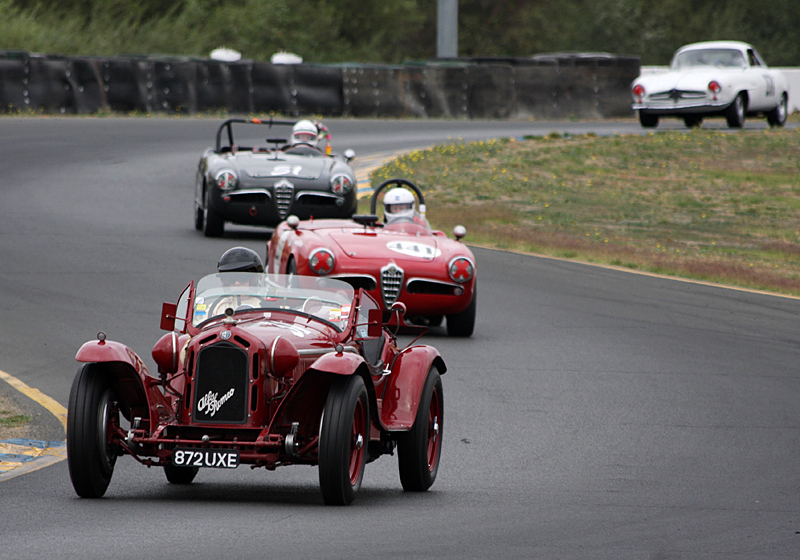 He leads Saturday Group Two winner Buchanan and two more Alfa Romeos through the esses during Saturday morning's practice. Next: Don Tevini -- 1959 Devin "D"